I struck up a friendship with Terry B. At seven, I realized that arson would not be a good career choice. My best friend, Terry B., who shared my early fascination with trouble, introduced me to the delights of wooden matches. My parents didn’t smoke, and we didn’t have a gas stove, so I didn’t see many matches. The ones we used to light birthday candles were those flimsy paper ones that require a grownup type of skill to light. You had to pinch the paper stem between your thumb and middle finger, hold the match head down with your pointer, and then draw it across the striking surface. If you didn’t pull your pointer away quickly, you could burn yourself. Wooden matches, however, are easy enough that even seven-year-olds can use them. Their small fingers can hold the end of the wooden stick, strike across the long strip on the side of the box, and create the wonder known as fire. One box provides hours of fun. Strike a match and watch it burn. Next, see how far down you can let it burn before you blow it out or drop it and step on it. Play chicken doing this. Put several matches together and light all of them from one match. And those are just a few possibilities. But you can only watch so many matches burn before you yourself get burned out on it. The next step is to watch something else burn. The street we lived on sat on the edge of the housing area, and the alleyway behind our house ran parallel to a drainage ditch. My sister and I took a shortcut to school through the ditch, and children often played there. Sitting in the dirt among the weeds was the perfect place to study the properties of combustion. We began with the debris we found in the ditch, mostly paper trash. Then we moved on to dried leaves and small plants. El Paso has a dry climate so there was hardly ever water in the ditch. Any fires we started had to be small enough to stamp out with our feet or smother in dirt. One afternoon, we experimented lighting up an entire bush. Like all of our ideas, it seemed reasonable at the time. The dry bush ignited another bush, and soon we had a small blaze that we could not control. In our eyes, it seemed we had set the whole world on fire. We threw a lot of dirt and sand at the bushes, which was very helpful in making us dirty, but not so helpful in extinguishing the fire. Had there been a wind, I would be telling an entirely different story. Something about my life at reform school. In those heart-stopping moments watching the disobedient fire, I imagined the fire spreading to our houses, leaving our neighborhood a pile of ashes. It’s a wonder that some all-powerful grownup (one who could see through windows) didn’t notice the smoke and call the fire department. Had that happened, I knew the consequences. I would not be seeing much of the Mickey Mouse Club and my bottom would be very sore. The fire eventually burned itself out, and so did our desire to play with matches. We never misused them again. We just used them as they were intended to be used. For cigarettes. Great story! I especially appreciate the last sentence. Thanks. And no to your question. My husband seems to have hidden all the matches. I bet you’ve got a story or two of something equally mischievous. Good story! My parents smoked, yet I don’t remember ever seeing matches lying around the house. I guess my folks must have guessed what kind of experiments we would have conducted if we had found them! They probably knew from their own childhood experiences. We used to burn those tiny little birthday candles for fun. Then when there was a birthday, my mother never knew what happened to them. How funny. Do you remember letting the wax drip on your finger and then peeling it off? Again you go to the very childhood that I experienced, with one exception this time. I was about 16-17 when I set my first and last near-inferno-style fire. Have you ever had a comment longer than your post? (Up until now that is) Sorry. I love hearing other people’s stories. This one is great. Oh, and did you ever light a “hula-Hoop” on fire and listen to the sound that the dripping plastic made????? So cool..bbeewww, bbeeewww, I think I missed my calling. Now that is something I never even considered. 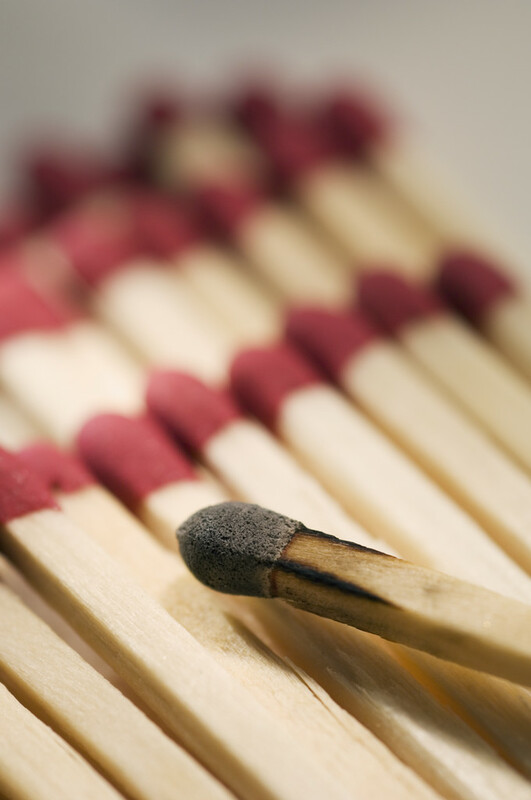 I definitely don’t recommend kids having matches or lighters – and made sure my children didn’t have access to them. They have their own stories but none that I’ve heard that involve fire. Did you learn nothing when your father called the police? Based on yesterday’s story, I think if you had been found out, your punishment would have been much worse than a sore bottom and a missed tv show! Your second question is a variation of something my mother said until I was old enough to ask it myself. You know the saying, “live and learn?” I got the hang of the first verb right away; it took much, much longer to get the other verb. I love the punch line, although I do hope you gave up smoking somewhere along the way. I did give up smoking many years ago. I was just thinking, “I never did play with matches…just cigarette,” when I scrolled down and you hit me with the last line. I guess it was all the same thing though, because we lit the cigarettes and watched them burn down in the ashtray. Matches, cigarettes, campfires, fireplaces – we are all fascinated by fire, I think. Kids just don’t understand how dangerous an uncontrolled fire can be. They seemed to be so focussed on what is happening right now that they don’t or can’t think of what comes next. That can be a good thing or a bad thing. Haha, cute! I never experimented with fire, really, although once I did the magnifying glass on a dry lawn trick. It was fun, but didn’t start any proper fires. I never had luck with a magnifying glass either. That’s probably a good thing. So! It was you who started all this global warming! I don’t think I can take al the credit. Please don’t tell me you didn’t play with matches as a child. How naughty you were :> Until very recently (when I was forced to use them for scented candles – allow me to digress in order to inform you that I just came across an incredible apple and cinnamon scented one, it is just indescribably lovely! 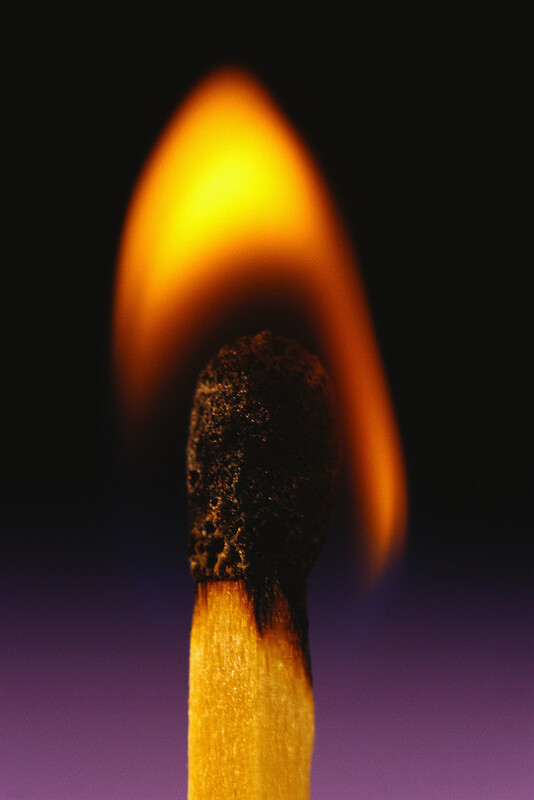 ), I was afraid of matches because the flame is so large when you light them it’s as if you will surely be burned. Also, I was taught to never play with fire and in this I was obedient! I’m glad that I don’t really mind them now, but I think of all the fun I missed out on! Lucky you! Ahaha :>. I like to think that I was curious rather than naughty….You were a wise child not to play with matches. I’m truly thankful I didn’t burn everyone’s house down. I remember when I was a kids, two brats next door were trying to set our house on fire. They had piled up leaves against the house and were frantically trying to light them with matches…must have been using the paper ones. Also, they obviously thought a brick house would burn by lighting the bricks.